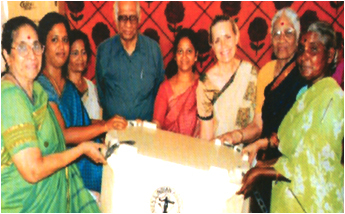 Tsunami Relief was undertaken in 10 kuppams, 17725 ice boxes were distributed to 1725 fisher women to keep fish fresh. 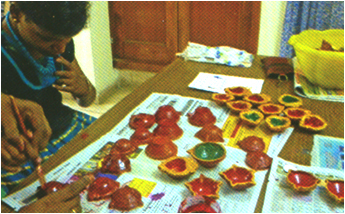 An apex group was formed for the Welfare activities of the kuppums. 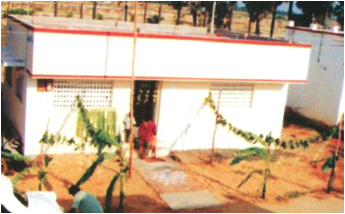 A crèche has been constructed at Pudupattinam. The Department of Non-Conventional Energy Source assists WIA with financial help for the construction of smokeless chullah in Chennai through All India Women’s Conference, (AIWC), New Delhi. Using Solar Drying Technology, WIA has facilities to process mango bars, prepare tomato power, dry vegetables & herbal powder. 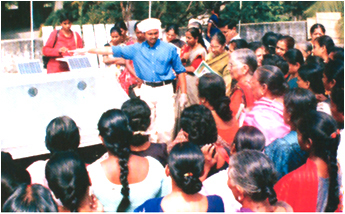 The Solar Dryer was donated by AIWC, New Delhi, through the Asian Development Bank. 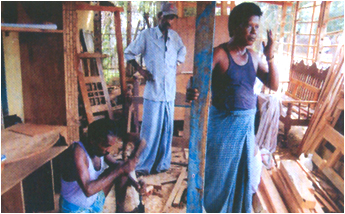 WIA Danida Rehabilitation Project was taken up with assistance from the DANIDA. 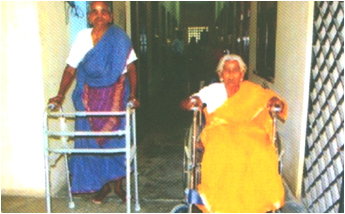 10 Government run homes for Leprosy rehabilitation and 30 colonies were identified for socio-economic rehabilitation. Infrastructure facilities for agricultural work, and training micro loans for income generation were provided. A revolving fund has been created to ensure sustainability. Micro loans were given for the construction of 24 houses in Bergur Colony at Dhamapuri District and Chettipuniyam Colony at Chengalpet. Mobile Clinical Services are provided in association with RSO, USA and Ramachandra Medical College Hospital for Leprosy affected people in colonies in and around Kanchipuram Disttrict. 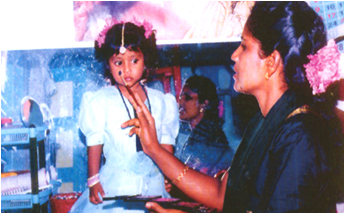 3 creches have been provided at Panayur, Bharathapuram and Chennai for the children of leprosy patients. ostracized people. Micro credit to the self help groups for income generation activities, so far Rs.22,50,000.00 has been disbursed to 24 self-help Groups. at Dr. MGR Janaki College of Arts and Science, Adyar and currently employed in a Research Institute. A cured Leprosy patients is running a beauty parlour at Villivakkam Leprosy Colony. WIA has started computer training for women and youth. Courses offered are DCA, DTP, TALLY & DATA ENTRY. The Central Social Welfare Board has enhanced the grant for nutrition component for crèche children for their health and development . 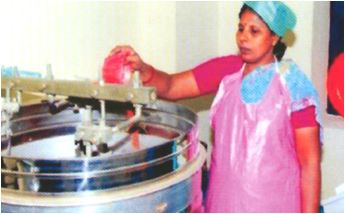 WIA has availed assistance from the State Bank of India for a project prepare nutritive powder. Every year, WIA joins C.P. Ramaswami Aiyar Foundation, Chennai to create awareness on environmental issues. In memory of the late Vasumathi Ramasamy, former Chairman of WIA, a library has been established in the premises of WIA with the purpose of providing research facilities for women studies. 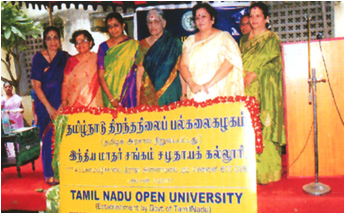 WIA is affiliated to the Tamilnadu Open University and has initiated a community college in August 2010. The Nurse Aid training programme and Computer are covered under the Community College. On minimum rent WIA lends Wheel chairs and walkers for a temporary period for freedom of movement.